The 2015 Texas Metals Symposium lectures will be streamed live this Saturday, October 17, 9:00-5:00. This year’s symposium features Diane Falkenhagen, Randy Long, Chris Irick and Cathy McClure. 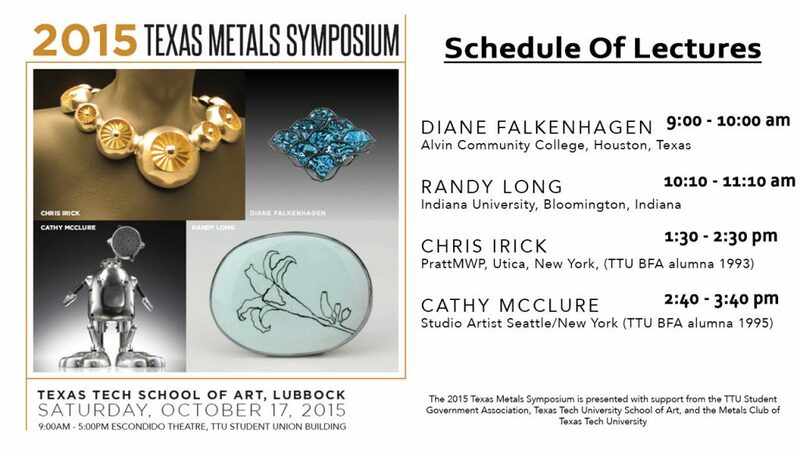 The Texas Tech School of Art and the Metals Club of TTU welcomes all to be a part of the symposium and the stream! More info at their Facebook event page.